Sometimes, sustainable use and management of water resources can rely on traditional practices – but in most cases innovation is needed. Water innovation depends on reliable data and high quality water research on a global scale. A country cannot be successful if it only imports research results. Requirements for successful research include: globally comparable measurement standards, long-term series of measurement good laboratory facilities as well as well-trained scientists and technicians. Finally, research institutions have to be provided with adequate mandate and resources. Germany contributes to promoting water research worldwide, among others by providing research grants, supporting research institutions in Germany and abroad as well as actively participating in international for a such as the United Nations Educational, Scientific and Cultural Organization (UNESCO). For more than 60 years UNESCO contributes to creating globally favorable conditions for research. Through the International Hydrological Programme (IHP) UNESCO promotes global cooperation in water research, for example regarding collection and exchange of data on transboundary rivers and groundwater aquifers. Since 2003, UNESCO’s World Water Assessment Programme (WWAP) on behalf of UN-Water, is responsible for publishing the annual World Water Development Report. The report aims to provide policymakers with relevant information in order to support them in taking scientifically sound decisions. The International Hydrological Programme of the UNESCO (IHP) provides a platform for exchange on global and regional water challenges for scientists from more than 150 countries. On a regular basis, leading researchers jointly define the currently most important research questions - thereby defining the guiding research questions for researchers worldwide. Education and training, capacity and network building, Water Centers and UNESCO Water Chairs, international conferences and the issuing of publications are fostered through national and international research projects. In addition, the IHP provides research findings as basis for policy advice. However, not the IHP itself provides funding for research projects, but those UNESCO Member States participating in the IHP. For many years, Germany has been actively participating in the IHP. The German contributions to the IHP are coordinated by the German IHP National Committee, composed of representatives from government agencies and research institutes. The German IHP National Committee is supported by the Federal Foreign Office, the Federal Ministry for the Environment, Nature Conservation, Building and Nuclear Safety (BMUB) as well as the Federal Ministry of Transport and Digital Infrastructure (BMVI). 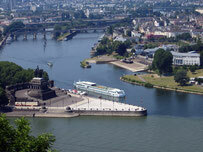 The Secretariat of the German IHP National Committee is based at the Federal Institute of Hydrology in Koblenz. By building partnerships with leading research and education institutions worldwide, UNESCO establishes a network of centres of excellence for water research. UNESCO also supports newly-established research institutions by providing its patronage. In 2014, the first UNESCO Category II Centre in Germany was established to support- the implementation of UNESCO’s International Hydrological Programme. The International Centre for Water Resources and Global Change (ICWRGC), based at the Federal Institute of Hydrology in Koblenz. The centre conducts research on the impacts of climate change, population growth, urbanization, desertification and the growing demands of agriculture on the availability and quality of water resources. In doing so, the ICWRGC cooperates with water experts worldwide. In addition, the centre aims to improve international access to existing global water dataand to contribute to the implementation of the Sustainable Development Goals of the 2030 Agenda for Sustainable Development. 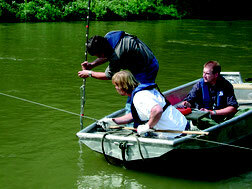 In its work, the ICWRGC builds on extensive German experience in the area of water research.